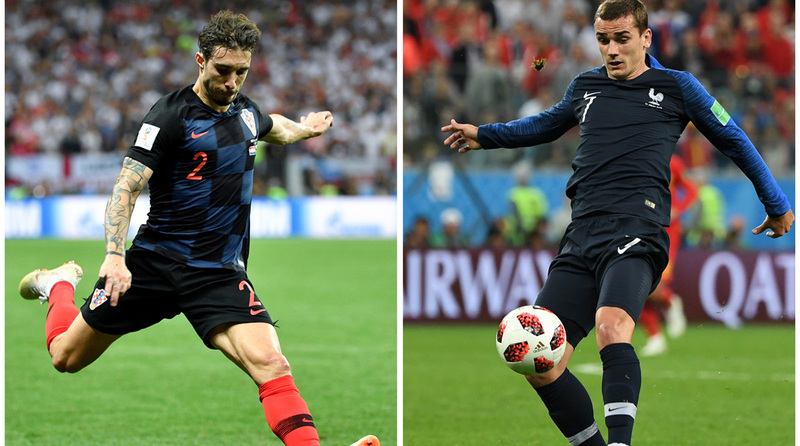 The 2018 FIFA World Cup Final is barely an hour from kick off and the lineups for France vs Croatia are out. Didier Deschamps’ men, heavy favourites for the summit clash at the Luzhniki Stadium, are unchanged from the side that won the semi-final against Belgium. Captain Hugo Lloris starts between the sticks, behind a four-man defence of Theo Hernandez, Raphael Varane, Samuel Umitit and Benjamin Pavard. Paul Pogba partners N’Golo Kante in central midfield, while Blaise Matuidi, Antoine Griezmann and Kylian Mbappe line up further ahead. Centre forward Olivier Giroud retains his place at the apex of Les Blues’ 4-2-3-1 formation. The Vatreni are mirroring their fancied opponents’ formation for the biggest match of the year, with Mario Mandzukic leading the line for Zlatko Dalic’s side. Antre Rebic, Luka Modric and Ivan Perisic feature behind him, with Ivan Rakitic and Marcelo Brozovic anchoring the midfield. Ivan Strinic, Domagoj Vida, Dejan Lovren and Sime Vrsaljko feature in the four-man backline ahead of goalkeeper Danijel Subasic. The match kicks off in an hour’s time, at 20.30 IST.